You are surely a little prince or princess if you visit Sofia’s page for Royal Games. This particular category of games feature the most shining and memorable games on the net. It’s Royal, after all! Read on to find out more! After Sofia’s mother marries King Roland the Second, as you know, Sofia becomes a princess overnight. She comes to live in a beautiful castle with an Enchanted Garden full of birds, bees, and flowers. But that’s not all. The royal palace of Enchancia, as you discover by playing games from this category, is a place where secrets breed. 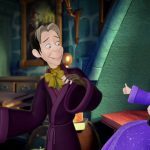 Discover them all by immersing into a royal adventure with Sofia, Princess Amber, Cedric the Sorcerer, Whatnaught and other characters from your favorite show. Remember we said that the castle of Enchancia is a place of secrets and mystery? It indeed is. Check it yourself by playing Sofia’s World game. When you run this little game, magically, all the objects in Sofia’s new dwelling become interactive. Point and click on them to reveal some mysteries you might not know about some quite familiar objects. The Library, the Kitchen and the castle grounds will never look the same once you discover the magic that stands behind them. Go exploring. Being royal is not only about exploring. First, the Royal Games are a chance for you to take part in Sofia’s castle life. When she comes to the castle, she doesn’t know what it means to be royal. She doesn’t know anything about royal make-ups, nor about the royal dressing code. What she does know is to be kind and generous. So, you will have to help her to become royal. How to do that? Easily! Choose a royal game that you prefer the most, for instance, Royal Makeup game. You will step as Sofia adviser on choosing a perfect make-up for a royal ball. Take your role seriously and will see how fast Sofia can turn royal. Royal Games are also about all the shining jewels in Sofia’s world. The best Royal Games at your disposal! Do you like matching games that involve jewels? You surely do, since you are a real member of the royalty class for now. So, if you do prefer this type of games, play some of them along with Sofia! 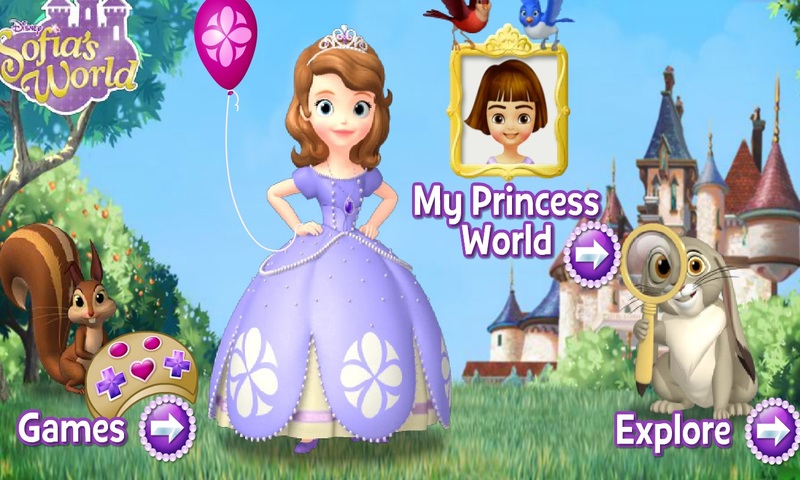 This one might be exactly what you are looking for: Sofia the First Bejeweled. Hundreds of jewels, piles upon piles are waiting for you. Royal Games, as said, give you the opportunity to play your role in Sofia’s story. It’s your choice who you want to play as. However, despite what you will choose to play as, you will always be of good help to your favorite princess. Being all new in such a complicated world is not that easy. That is why you are the one to help Sofia to cope with all the difficulties of being a member of a royal family. Start a chase for the castle keys in Keys to the Castle game, help Sofia to learn to walk like a princess while playing The Royal Red Carpet game, and even build your own royal character in Create your Princess game! It’s your choice on how to play Sofia’s Royal Games. But no matter how you play them, you will always be joyous about it. Have fun and stay royal! Royal Games give you the opportunity to step inside Sofia’s daily life and help her learn all the princess stuff she needs to know. Are you up for this adventure? 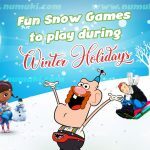 Fun Snow Games to play during Winter Holidays!